Our annual Earth Day school cleanup is happening Saturday, April 25, 9:30 am – 12:30 pm. 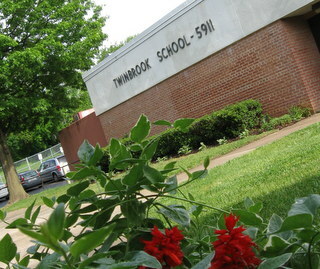 Join us to make Twinbrook shine! For the first time, we are painting a mural inside the school using Twinbrook students’ handprints. Outside, we will weed flowerbeds, spread mulch, and clean up the school grounds. Come ready to work and get dirty! Stay for an hour or for the entire morning. This is always a fun and festive event with lots of students and their families buzzing around the school grounds, getting to know each other and seeing the fruits of their labor. We especially need people with pickup trucks to pick up and deliver free mulch from the Transfer Station. Sign up to volunteer, donate food or pick up mulch! Sign up here to help!